We’ve been talking about in-display fingerprint readers for what feels like quite some time now, but at long last, the tech is starting to catch up with our imagination. Synaptics and Vivo announced that we’d see what’s marketed as Clear ID inside a flagship-level device at CES, and that’s exactly what happened. The attention during our briefing was not on the phone, though, solely the barely visible fingerprint reader that sat below the device’s display near the bottom chin. TL;DR: It was very cool and very much felt like the future of smartphones, not a gimmick. Somewhat surprising, but not too surprising since Synaptics has talked about how fast Clear ID is, the time it takes between placing your finger on the display and the phone unlocking is just as fast as a typical fingerprint reader. Not only is it fast, but there’s a pretty legit animation that happens as the scan takes place, like a neon digital circuit array that looks nerdy, in a good way, and awesome. Setup is like any normal reader on Android, too, with users able to add multiple profiles for different fingers or users. For those worried about this reader somehow interfering with what you see on the display, we didn’t see any sign of that. When the display is turned on, you don’t notice any sort of lighting differences across the display, which was always one of my fears when it came to placing optical components under the display’s glass. 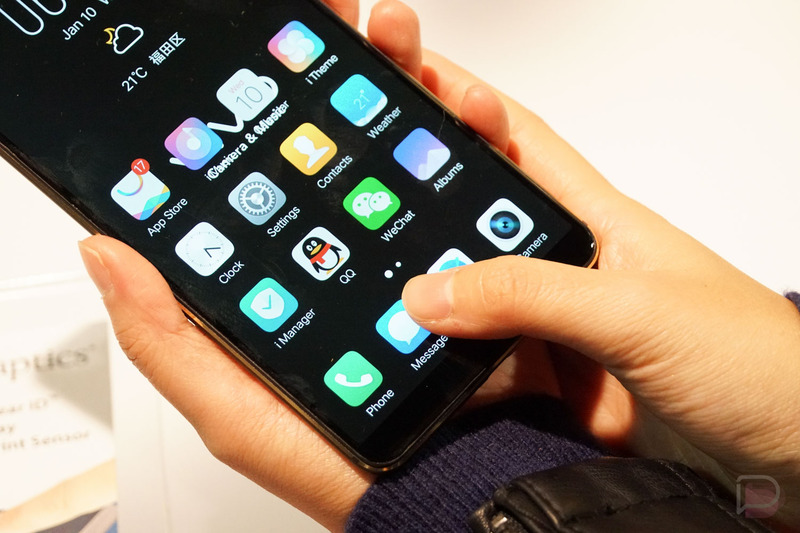 The experience was very natural and integrated into the UI, with Vivo saying the animation would popup whenever a user needed to use the fingerprint reader, whether it be for mobile purchases or app logins. With shipments of bezel-less phones continuing to grow, and expected to hit over 50% of all phone shipments by 2020 in a report from UBI Research, it seems like a natural evolution for other OEMs to adopt Synaptics’ Clear ID, unless Apple and its marketing has blinded people into thinking Face ID is somehow superior, even though we’ve seen many demonstrations of that not being the case. Either way, we are living in a time where OEMs are figuring out new ways for users to unlock their devices, which at least gives us something new to talk about. 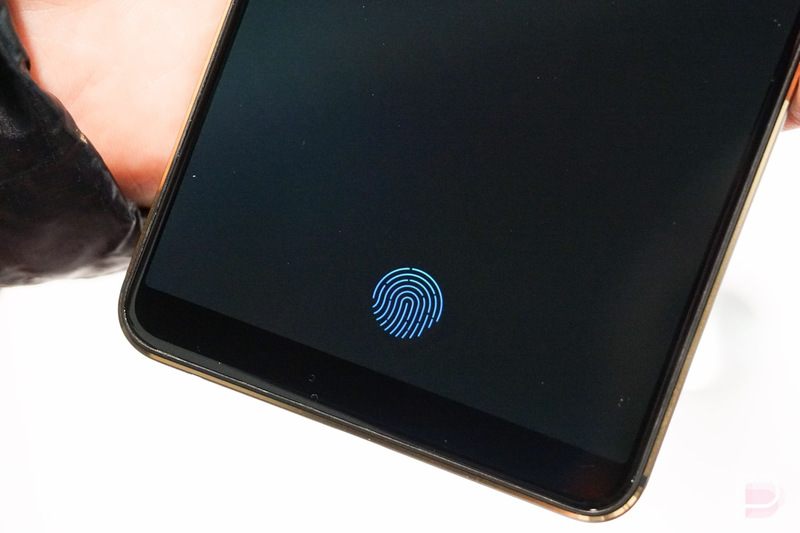 After testing out Synaptics’ Clear ID, my money is on fingerprint readers not being ditched for facial recognition anytime soon, considering it remains ultimately more convenient than holding a phone up to your face. That’s just my bet, though. If you want to get Clear ID into your hands, the Vivo device will be hard to come by in the US (unless you’re into the import game), but we’ll certainly be on the lookout for other Android OEMs to incorporate this exciting tech.